From acquiring fake Facebook fans to chest beating of million fans acquisition, today we are questioning how social media can create an impact on the overall marketing strategy. Simultaneously, social networking platforms have also evolved. From providing free organic reach to finally killing it by introducing targeted reach with heavy media spends, social networks are no more the same. These dramatic changes have also impacted the Social Media Day celebrations. This year, the excitement of celebrating the day was really missing. Launched on June 30, 2010 by international media company Mashable, Social Media Day is an annual global event celebrated by social media practitioners and believers. The core idea is to recognize and celebrate social media’s impact on global communication. Over the years the day has been celebrated across the globe, Indians haven’t lagged behind. A country where social media is growing in leaps and bounds, the day has seen massive support from across the country. 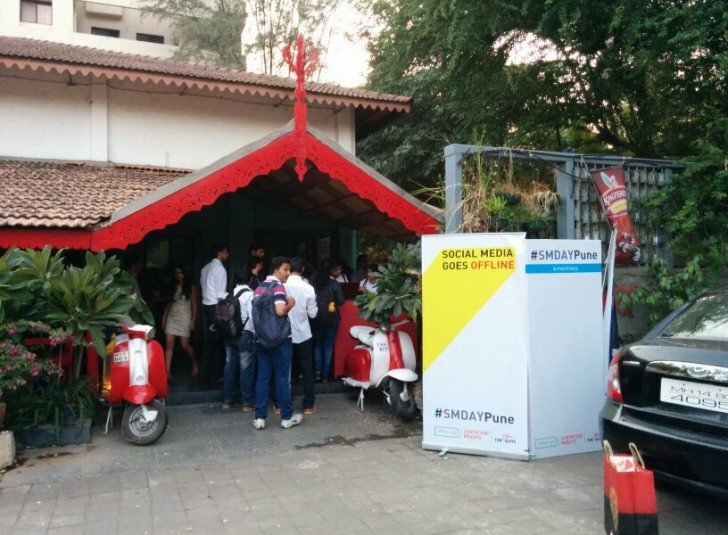 In 2014, Lighthouse Insights celebrated one of the very first Social Media Day in Pune. The event was well received by the Pune junta but also got our resources exhausted in making it an eventful evening for all. Despite the requests to continue with the celebrations the next year, we decided to let it pass; we were grappling with a severe resource constraint. Somewhere in the same lines, Social Media Day celebrations across India have witnessed a falling trend over the last few years. Cities like Mumbai, Delhi and Bangalore where digital is booming have ceased the celebrations. Even the excitement for the day on social media platforms (read Facebook and Twitter) has seen a drastic cut down (My Facebook timeline which is majorly occupied by digital marketers hardly featured one or two messages for the day). One of the primary reasons is social media evolving as mainstream. Additionally, social media has also lost the charm and glory of early days. “2011-13 were exciting times when Social Media platforms allowed us to innovate, develop apps and do some nice integration stuff,” commented Rohit Awasthi on a Facebook thread started by me to gain a better perspective for this story. Also, pulling off online events at a time when the industry hasn’t matured enough is also a massive effort. One of the very strong reasons why Bengaluru based digital agency Graffiti Collaborative stopped doing the Social Media Day Bangalore event for last two years. “We used to celebrate the event at Hard Rock Cafe. Did it for three years and then stopped. Too many me-too with a lot of marketing budget but without good quality and the audience doesn’t know the difference,” Shweta Thakur, Director at Graffiti Collaborative explained. The surprising and frustrating part here is that cities like Mumbai, Delhi and Bengaluru where most cutting edge digital work is done are the ones who have gone in back foot mode in celebrating the day. One of the reasons could be that all of them are busy making money. But the other important aspect lies in coming forward and taking the initiative. We Indians love celebrations and always participate with open arms. However, when the call comes to take the initiative to drive such events we immediately take a step back. But not everything is bad, there is still hope. The positive vibes are not coming from cities where marketing budgets are free-flowing but from the non-metro cities like Pune, Kochi and Ahmedabad. These are cities where you might struggle to find lush agency offices or disruptive digital work but these are cities, which take a lot of pride in celebrating the day for the last couple of years. However, the success of such events will depend on the initiatives and consistent effort from the teams. “Lack of initiative is the reason why cities like Mumbai and Bangalore have stopped such events. People are interested to be part of but they hardly show interest when you call for support. Saying that Social Champs will try its best to keep the event alive and evolve into a community driven platform,” Gajanan added. On similar lines, boutique digital agency Prodigitz Media created posters and a GIF for the day but with a dose of humor in it. On the brand front some shared visuals on social media but nothing worth mentioning. Bajaj Avenger was the only brand that ran a dedicated campaign which ironically asked people to take a break from social media! Social media is yet to touch double digits in the country, hence recognizing Social Media Day and getting together for celebrations is essential. While the metros have a taken a back step, it is encouraging to see cities like Pune and Kochi not giving up. Hopefully, we see a lot more initiatives and enthusiasm from the cities that proudly associate with Digital in the years to come.